ABC7 and our parent company Disney donated $15,000 to the Food Bank of Contra Costa and Solano counties. CONCORD, Calif. (KGO) -- ABC7 News' annual Thanksgiving food drive continues this month. We've partnered with Bay Area food banks for the last 23 years, and are now encouraging you to Give Where You Live! 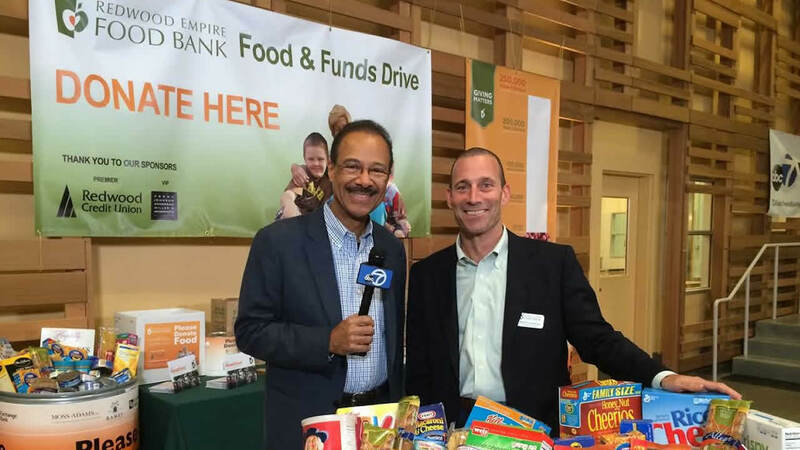 On Tuesday, on behalf of ABC7 and our parent company Disney, ABC7's Spencer Christian presented a check for $15,000 to the Food Bank of Contra Costa and Solano counties. "The need is phenomenal in Contra Costa and Solano," said Larry Sly, the food bank's executive director. "We're currently serving over 188,000 people each month. That's up significantly. We were doing about 150,000 a year ago. So, more people are coming to us. And because of this check, we're going to be able to provide 30,000 meals to those folks. So, you've really made a big difference in our ability to help those in need."